This recipe is a classic simply because it's so delicious. And when it's made in your crockpot, it's so easy. Using your crockpot means all you have to do is stir occasionally while it's sitting the buffet - if you have any left to stir! We think the cocktail sauce is delicious with the jelly; it's basically just like chili sauce but a bit spicy, but use chili sauce if that is your preference. Any jelly or jam and any spicy tomato-based sauce will work well. Try using apricot or peach preserves with Italian tomato sauce, or use plum jam with cocktail sauce. You can use any type of cooked meatball in this recipe - but it has to be cooked. If you try to cook the meatballs in this sauce, the sauce will be much too greasy. 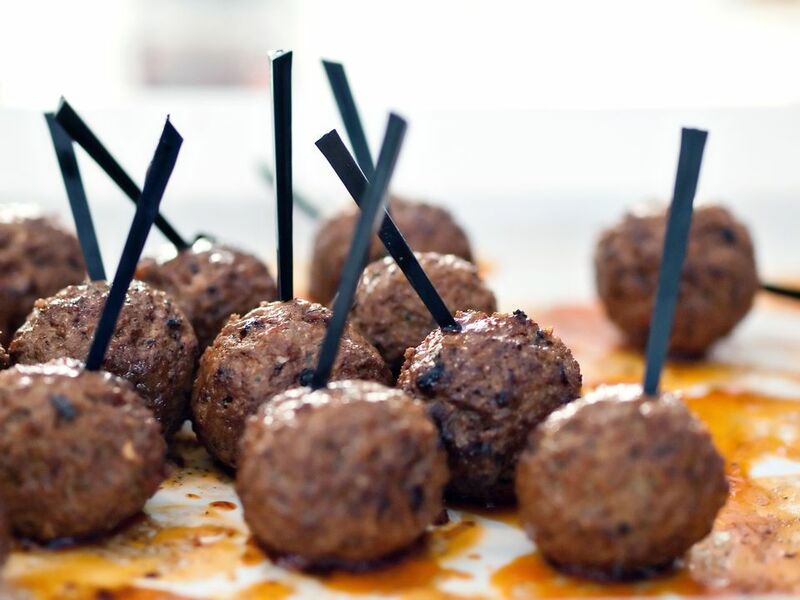 Use frozen precooked meatballs, any meatball from my recipe box, or your own favorite. Cook them to 165 F, drain, then add to the slow cooker. Heat meatballs in the oven as directed on package. Place in 3 to 4-quart crockpot. Mix jelly and chili sauce or cocktail sauce thoroughly in a small bowl, pour over meatballs and stir well. Cover crockpot and heat on high 1 to 2 hours until sauce is hot. Turn heat to low until ready to serve, stirring occasionally. Keep the slow cooker on "keep warm" setting, stirring occasionally, as your guests dive in.